Looks like Bing now has a new feature that displays the results of various exams within Bing directly rather than the user going to the School website. 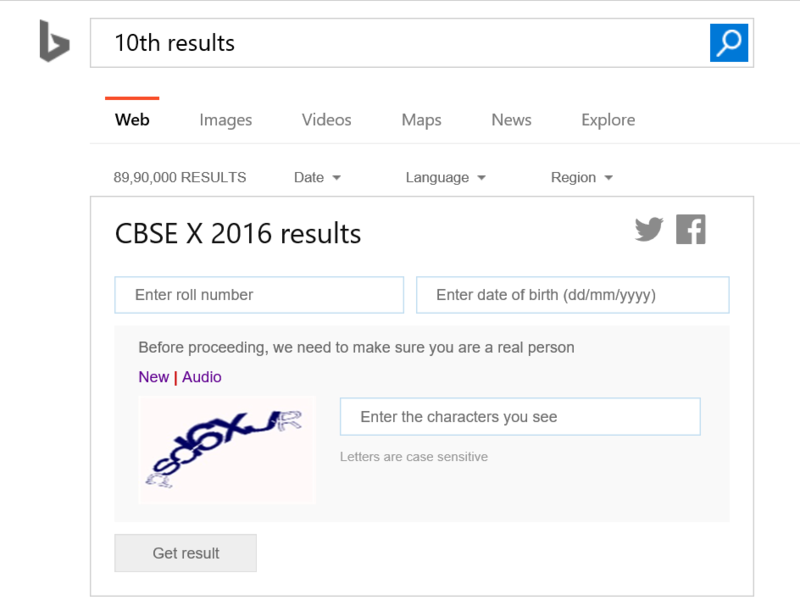 To explore this feature , visit www.bing.com and search for 10th results (you can search for other exam board results as well by searching for them like CBSE 12th results etc.). You can know more about this new feature in Bing from Bing blogs.